The ultimate upgrade for your new Traxxas XO-1 Supercar. This is for 1 pair of our 9000XL 11.1v LiPo packs. These packs are the largest capacity and highest voltage packs available for the XO-1. By removing the lower part of the battery tray, these packs will fit perfectly and will lower the center of gravity on the XO-1. 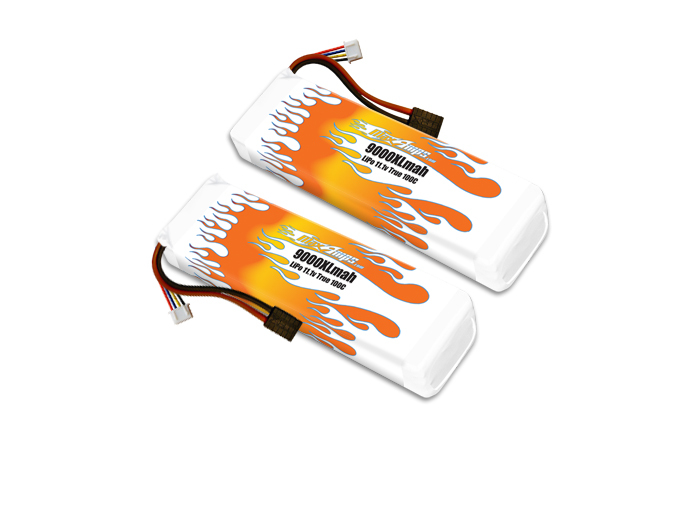 The 3s 9000XL packs will give you a 10%+ increase in voltage and top speed. The higher voltage will also allow you to get to top speed faster because of the increased voltage retention over the stock packs. The 9000mah gives you almost double the run time of the 5000mah packs. These packs will make your Traxxas XO-1 scream! If you're looking for an insane amount of power, these are the packs for you!